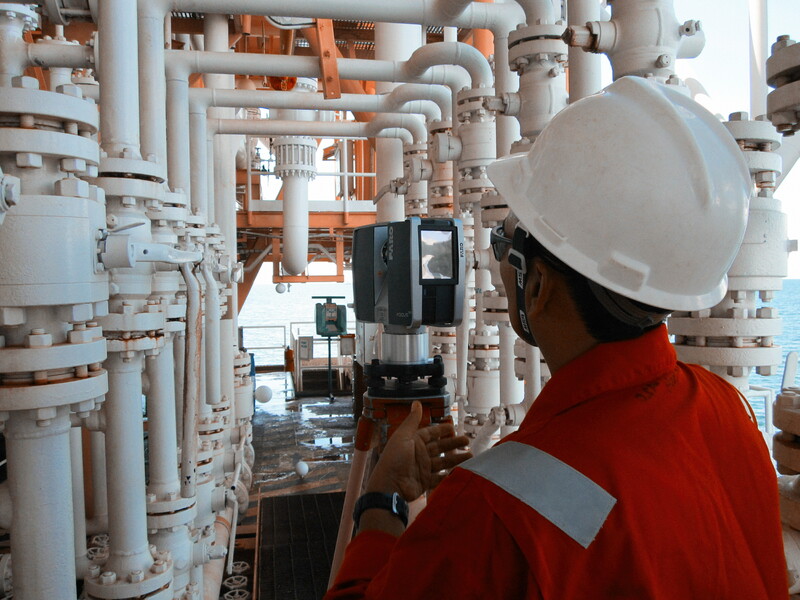 Introducing our 3D laser scanning & 2D / 3D CAD service. No more rework ….. first time fit! 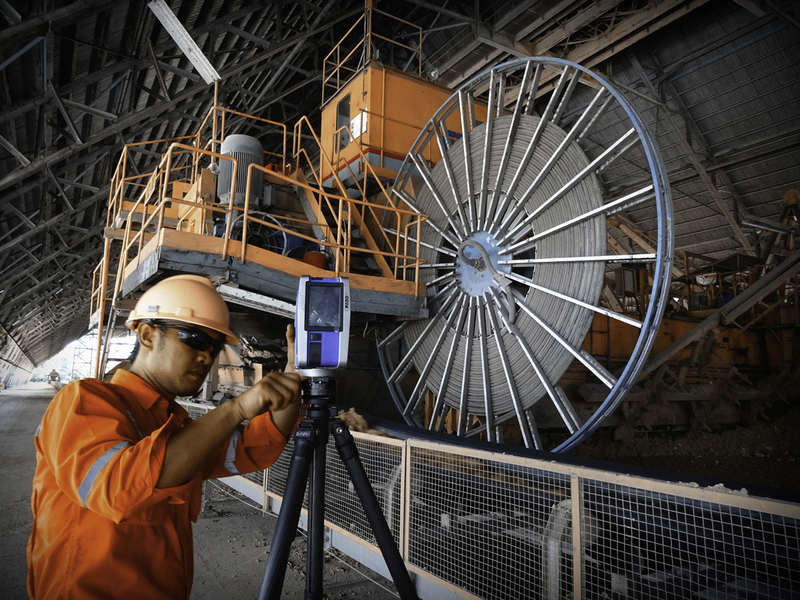 Our laser scanner uses an environmentally “safe” laser to rapidly scan surfaces or objects and record the data as a fully referenced point within a point cloud which can then be processed to enable production of either conventional 2D drawings ( “as built” plans & long sections ) or 3D image model which is highly accurate dimensionally. These can be used for “as built” information for complex industrial plant and facilities. Other applications also include ground / topographic surveys; road, bridge & building surveys; power stations; complex models for films & theme parks; forensic science & claims records; ships & aircraft; historical & architectural records; basic information for walk through videos as well as much more. The point cloud is immediately usable as an image that is highly accurate ( +/- 3mm ) and can be compared & merged with digital photography taken at same time. Our clients include oil & gas companies, mining & construction companies as well as contractors involved in retrofit / maintenance for industrial plants, process facilities & oil platforms. Our clients get a unique 3D model of their facility / plant which can be used for design, construction, fabrication and as built record that because of computer modelling will enable first time fit onsite during construction / maintenance. Large cost savings / profits can be made when carrying out retrofit & maintenance or use of prefabricated units because rework due to poor fit can now be avoided preventing expensive stoppages and production losses if things go wrong. units fit within model prior to onsite installation. • For better RETROFIT DESIGNS that slash construction costs and schedules. < 1 week - < 1 month to process and produce “as built” views and sections of the plant with 2D CAD drawings and 3D models. 2. 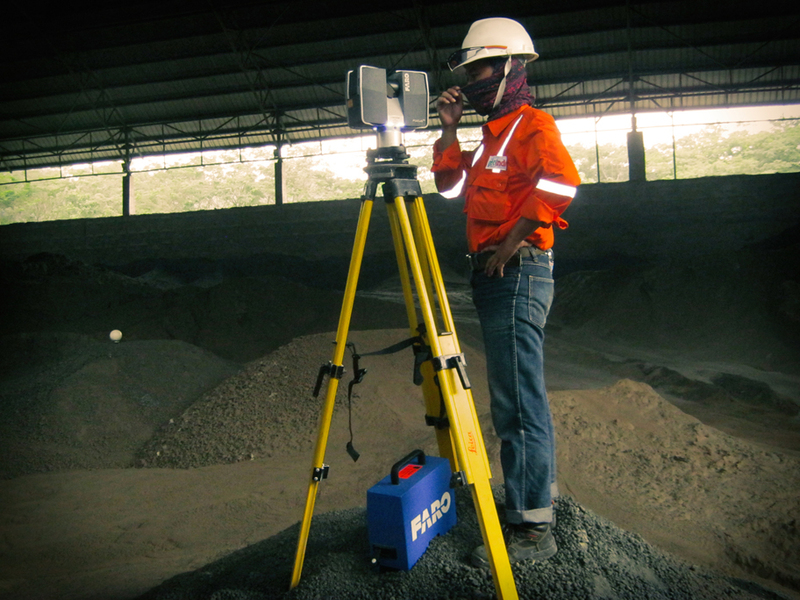 Our latest state-of-the-art scanner & software technology is now available in Indonesia . improve project planning and implementation using reliable as-built data. Accurate “as builts” for plant documentation and future maintenance.